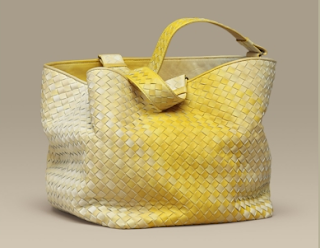 I don't always love how Bottega updates their bags each season. I'm not a fan of the current fringed look, but I'm digging the ombre leather weave. Ombre was huge a few seasons ago and I think it is a great complement to the woven leather. The Yolk Interccio Nuance Bag costs $1980.